Home » Print Shop Lab Products » Wall Art and Decor » Marketing & Party Banners » Stock Banners » Congratulations from All of Us! 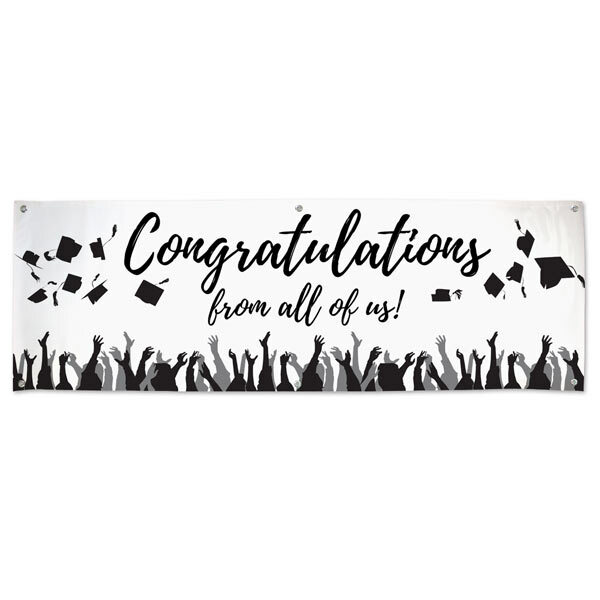 Black and White 6′ x 2′ Vinyl banner with ‘Congratulations from All of Us’ text and caps being thrown into the air. Perfect for graduation parties and events. This banner is ideal for adding guest signatures to the banner.